The Convair 580 lurched to the left followed by the nose bobbing up and down, then a quick unexpected jab to the right. How much abuse could this airliner take? And we were just taxiing… Seriously, though, Aspen Airways Convair-Liners took a daily pounding over the Rocky Mountains and came back for more, year after year. Being intrigued by Aspen’s (AP) operation, I put in for jumpseat authority in September 1977. Linking up with the flight crew at the Aspen hangar in Denver, I met captain Bill Rosquist. An immediately likeable person, Bill was in his mid-30s, slim with sandy hair. He introduced me to the 580 Convair that would be assigned the Denver (DEN)-Aspen (ASE) round trips for most of the day: N73133. Copyright Photo: DDM Photos – Dave Nichols Collection. Convair 580 N73133 (msn 70) rests between flights at Los Angeles. The airliner at this time wears the 1972 two-tone blue scheme. It would later wear United Express colors. Since it’s “all about the airplanes”, Bill told me the history of this airliner. Manufacturers Serial Number 70, N73133 had been originally purchased and operated by United Airlines in 1953. One of the last Convair 340s flying with UA, Tex Johnston Inc. purchased the airplane in 1968. That company modified it to a 580 but it was a bare-bones conversion with no flight director, updated avionics nor updated panel. 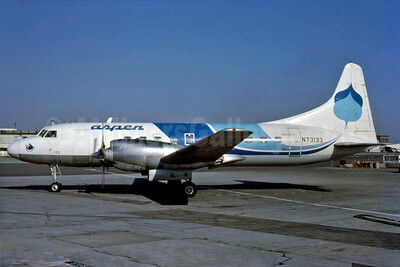 N73133 then went through two owners and some desert storage when liberated by Aspen in 1975. The aircraft had always kept its original N number. This Convair-Liner was kind of an orphan with AP. Not equipped like the other 580s in the fleet – purchased from Allegheny and Frontier – N73133 was used almost exclusively on the DEN-ASE run. Today, the airplane was still in the older color scheme of white fuselage with orange cheatline, the last to be repainted. The other nine 580s were resplendent in the super sharp aspen tree leaf design. The summer and fall are quieter months for Aspen Airways. The airline was adept at wet or dry leasing their excess capacity to other carriers during the slack months. Aspen was also dabbling in scheduled Lake Tahoe and Yellowstone National Park flights from California locations. Two other 580s were rotated into Denver-Aspen service this month and they were at the ready in Denver: N5814, an ex-Allegheny machine and N73126, a former Frontier aircraft. I would experience three DEN-ASE round-trips today with captain Bill and N73133. I started at 9:00a.m. and would finish at 2:30 p.m. The 110-mile flight took 40 minutes and was flown directly over the mountains; such was the climb performance of the marvelous 580. The turnaround time in Aspen was 25 minutes and at Denver-Stapleton a quick 15. The captain, first officer, flight attendant and I taxied the 50-seater from the hangar to the terminal to start the day’s operation. During my initial cockpit scan I could easily see the economy of this particular aircraft’s conversion. The flight deck layout and goodies did not even compare to the Allegheny 580s I was familiar with. Boarding was quick and basic through a lower level non-jet bridge concourse. Eleven people joined us and we briskly taxied to the active runway. Flaps set at 15-degrees. A reduced power take-off was made. Yes, reduced power, just like the big-boy jets. During the initial climb, Bill explained that the airplane would need only six minutes to be high enough to clear the mountain peaks which run north and south on the west side of Denver. The east side of town is flat prairie. The skies were completely clear and cobalt blue – it was a great day for flying over the Continental Divide. One never tires of watching and feeling the Convair 580 perform. It’s like a sled dog musher behind 12 well-trained and fed Alaskan Huskies. When you holler “lets go” the experience is always enriching. Our 580 was climbing at 2500 feet per minute showing 185 knots indicated airspeed. It was purring. As soon as the Convair left 14,000 feet, we were vectored westbound to intercept the airway. Once level at 20,000 feet, our indicated airspeed ticked up to 240 knots yielding a true airspeed of 290 knots. The airspeed indicator needle was in the yellow arc. At 40-miles west of Denver it started. Even though the skies were incredibly clear, the turbulence was ever present. I could see the great Continental Divide ahead through the windshield; a devil’s backbone of north-south mountains clustered tightly together, all peaking around 14,200 feet. We had been flying over mountains already but the great divide is the mother lode. Even though we were 5,000 feet above the peaks, there was no immunity. The area was sprinkled with the carcasses of unfortunate airplanes that did not make it over the ridge or through a few mountain passes. I also knew that directly off the right wing, near Loveland Pass, was the final resting place of a chartered Martin 404 that ended most of the lives of the Wichita State University (Kansas) football team a few years earlier. The bumps were mostly hard and jolting. Deep potholes in the airway pummeled us at irregular intervals. Clouds would actually have helped the crew know more about the location and severity of the turbulence. Rocky mountain-based pilots know how to read clouds. Occasionally we experienced that thermal drop where the bottom falls out and everything goes zero-G for several seconds. The flight attendant said that’s when some white knuckle passengers start upchucking. Can you imagine what the Frontier F/As went through with a whole propeller fleet crisscrossing the Rockies? North of Aspen, captain Bill banked the Convair to the left and set up for the visual approach to runway 15. We would have a 40-degree crosswind at 11 knots. Bill turned his head and with a quick grin said: “No one enjoys flying into Aspen-Pitkin but it’s not terrifying. You can see how close the mountain bluffs are to the airport.” The first officer pointed to two locations of former wrecks. The shards of aluminum and Plexiglas were frequently visible, winking from ledges. Aspen Airways crunched-in their first Convair 240 (N270L msn157) when the gear collapsed on this airport in 1970. Trying to approach and land from the southeast requires a steep descent. It was done more recently with the BAe146 jet but in the 70s it was not the norm. I could see some of the ski runs which are powdery white and contoured in winter but now were rocky and brown. Captain Rosquist made a top notch landing using 28-degree flaps. The 580 does best touching down with only a slight nose-up flare. Reverse pitch is so productive it’s like throwing out an anchor. We deplaned and walked around the ramp. The turnaround provided Bill a chance to give me a condensed history of Aspen Airways. Founded in 1968 with a base in Denver and a sole route of DEN-ASE. The first aircraft was the ill-fated CV240 purchased from Chesapeake and Ohio Railroad. A replacement 240 – N91237 (msn 140) – was hastily purchased in 1970. The model 240 was barely suitable for the mountainous routes and loads, so CV340/440s were added from 1970-72. All were ex-Delta. The recip fleet totaled four and they gave solid service up to 1978. At the time of this story, AP was using the piston Convairs on charter work away from Colorado. Copyright Photo: Bruce Drum. Formerly operated by Delta Air Lines in the Deep South, Convair 440-38 N4816C (msn 118) (converted from a 340-38) moved west to serve with Aspen Airways. N4816C is parked at Aspen, Colorado in the summer of 1973. Needless to say, the 580 Convair was the machine they had been praying for. CV580s were purchased in 1973 and would eventually number 13, with aircraft being bought and sold as needed. Aspen experimented in scheduled routes to various Colorado seasonal ski areas. Charters were quite successful. By 1977, the fleet was at eight airplanes, with four coming from Allegheny and three from Frontier at more than a million bucks apiece. Time to press on, we enplaned 15 pax and rocketed out of ASE. Taking the safe way, we retraced our inbound track starting with a take-off on runway 33. Flight 418 would have a snack service and on afternoon runs the airplane offered wine and cheese to the folks in the back; very popular and unexpected from a small airline. 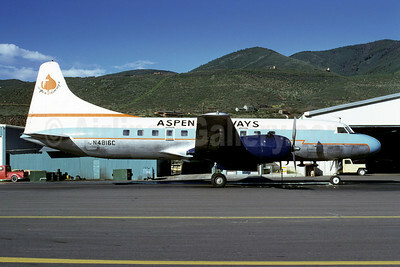 Aspen Airways, at the time, was truly the air bridge to the City of Aspen. A long and twisting mountain car drive was reduced to a scant 40 minutes on board AP. In 1977, the walk-up fare was $32 one-way. Blocks of tickets were available to locals for a nice discount. Being a fan of old timetables, I noticed that AP only raised fares an average of 4% a year. 1980 Route Map: Aspen Airways expanded outside of its traditional Denver-Aspen Colorado route west to California with its growing Convair 580 fleet in 1979. Due to Deregulation, Air California, PSA and United Airlines abandoned a lot of local routes, especially to Lake Tahoe. Burbank became the short-lived hub of the West Coast operations. The well muscled 580 is a kerosene binge drinker, even by 1977 standards. Three hundred gallons an hour goes into the burners at 20,000-foot cruise. At low altitudes, the beast swigs 420 gallons every 60 minutes. This is about double the avgas a CV440 goes through. The piston sister has a max gross weight of 49,700 pounds. The 580 tops out at 53,200 pounds. Wide-open throttle garners 2500 horsepower for the 440 and a whopping 3750 for the beefy 580. The 440 cruises around 190 knots indicated, with the 580 blowing by at a cool 250. Is it worth the much higher purchase price and fuel costs? In the 60s and 70s, the answer was a resounding “yes”. By 1985, it was “no”, even for many of the freight dogs. The return flight to Denver placed us going in the same direction as the flow of air. Once near the Continental Divide I could feel the airplane surfing the invisible waves. After a while, you could sense climbing over a swell, riding the crest and then rushing down the forward face: “hanging ten” on a 51,000 pound piece of aluminum. This was all cool and such but occasionally the Convair would sink into a trough between two large waves – hello breakfast. From the cockpit, I could easily hear the passengers groan under the force of negative Gs. As an epilogue, Aspen Airways became a United Express affiliate in 1986, still operating those incredible 580s. N73133 was donated to a museum in Alaska in 1986 but was later freshened up and put back in service with Kelowna Flightcraft in Canada as a freighter during 1992. Conversion to fire fighting air tanker took place around 2000 where it was flown by Conair as C-FKFM. 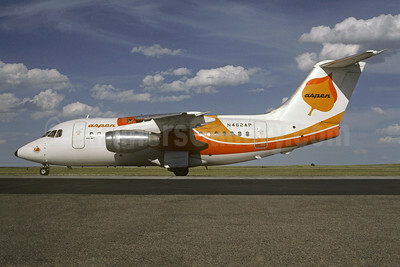 Air Wisconsin purchased Aspen Airways in 1991 and quickly disposed of the Convair-Liners, bringing in their BAe 146s. The other former Aspen 580s found work right away: nine of the thirteen were still active around the world up to 2003. Copyright Photo: Jacques Guillem Collection. BAE 146-100 N462AP (msn E1017) is seen in action at the Denver base. The jetliner is painted in the orange version of the 1971 livery. Many flying people will remember Aspen Airways fondly and perhaps a little scarily. I’ll bet you have an Aspen Airways story, too. The giant rolling river of air moving eastward over the Rocky Mountains is still there, every minute of every day, waiting to challenge whatever flying machine wishes to traverse. 1985 Route Map: In 1984 the company entered into a market agreement with United Airlines and began to add more feeder routes from and to the Denver hub, abandoning the West Coast operation. On September 1, 1986 Aspen Airways became a full United Express carrier and therefore abandoned its unique and colorful liveries for the traditional United brand. This entry was posted in Aspen Airways, Dave Nichols' Prop It Up and tagged 118, 146, 146100, 340, 34038, 580, 70, ASE, Aspen, Aspen Airways, aviation, BAe, BAe 146, BAe 146100, Convair, Convair 340, Convair 580, CV340, CV580, Dave Nichol's Prop It Up, DEN, Denver, E1017, LAX, Los Angeles, N462AP, N4816C, N73133, transportation, United Airlines on December 15, 2012 by Bruce Drum. My grandfather, Carle Morton, was an aviation pioneer. If you tried to look him up on the internet, his name is not there. (It was a kind gesture, though). He was a very early cobalt, platinum, uranium level frequent flier, from the 1930s on. Grandad became a true av fan, also. His position as sales manager for a four-state area kept him traveling every week. He rapidly chose air transportation to become more time efficient in an era when very few businessmen thought that way. While his counterparts and competitors were on a train or behind the wheel on two-lane highways, Carle Morton was already there directing his local salesmen and closing contracts. He had the ability to manage men and sell, the attributes of any successful sales manager. Mobility and effectiveness justified the high cost of airline flying. Even though some early airliners were rickety and safety records could make people pale, Grandad flew them all. There were wooden Fokker Trimotors of TWA, squat Curtis Condor bi-planes of American, converted Lockheed Lodestars of Continental, Fords, Lockheed 10s, Fairchild 71s and Stinson A models. The list went on and on. Did you know the fabric covered, Stinson A trimotor had 2 and 1 seating? The 1930s and early 40s was a time period when life insurance policies were voided if one flew on an airliner. Passengers had to purchase aviation accident insurance at the airport. Remember seeing photos of Mutual of Omaha counters? He was a fearless flier but he bought the weekly policies to protect Grandma. Carle saved his airline tickets, all of them. That practice was basically for the Internal Revenue Service because Uncle Sam routinely audited traveling business people with larger expense accounts, just like today. Long after the IRS would have been interested, he kept his airline tickets and folders. They became living diaries with all sorts of notes written on the ticket folders. Packets of tickets and folders were bundled by year. When I was a boy, he would let me scrounge through those rubber band stacks of aviation history. Flights on ghost airlines like Wisconsin Central, All American Airways, Chicago & Southern, Colonial, and his favorite: Pennsylvania Central Airlines. He explained to me the evolution of air carriers, that “Whiskey Central” became North Central, AAA changed its name to Allegheny, C&S merged into Delta, Colonial was absorbed by Eastern, and PCA transmogrified into Capital. My learning curve went into orbit. He flew Capital Airlines more than any carrier. Carle was flying them in the beginning when the corporate name was Pennsylvania Airlines, then modified to Pennsylvania Central Airlines. He grew right with them. There was a unique ticket: Pennsylvania Airlines, 1933, Ford trimotor, Pittsburgh to Cleveland with a stop at Akron. Yes, he said, the Ford vibrated like a washing machine. Wow, a Boeing 247 trip on PCA from Harrisburg to Buffalo in 1938 for $11.00. Grandad really enjoyed the maturity of Capital. He loved the DC-3, was in awe of the 049 Constellation and even the DC-4 received decent praise. Grandfather’s frequent use of Capital did not go unnoticed from that airline’s top management. He had a signed and framed letter from Capital’s president, J. H. Carmichael, thanking him for flying a zillion miles with them. Can you imagine 4 to 6 segments every week for 25 unbroken years! Carle Morton’s picture appeared in a 1953 Capital print ad touting the benefits of using a city ticket office. Grandad was on a first name basis with station employees at 10 locations. I flipped through pristine ticket jackets and stubs from All American Airways (precursor to Allegheny). Many flights were Pittsburgh to Altoona, Johnstown, Williamsport, Wilkes-Barre and Harrisburg. All DC-3s, each segment averaged $5.00. All American’s DC-3s were newer than most and he appreciated that. For nine months of the year, Carle’s Monday morning started with a Capital DC-4 from Erie, Pennsylvania to Pittsburgh. Watching that “four motor” lumber off the 4900 foot runway sent chills up my spine. 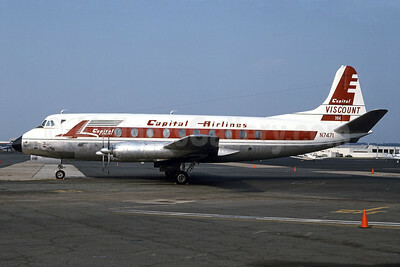 Capital later took the DC-4s off the Erie schedule because of marginal runway length. From PIT, Grandad branched out to three states. He would work with his sales force in a given area for several weeks then another territory would get a visit from Mr. Morton. Grandad would come home every Friday evening, almost always on a Capital DC-3. I leaned over the airport fence, straining for a glimpse of the nav lights and listening for the first sounds of radial engines in the distance. The passengers would emerge, all attired in suits, hats and overcoats. This was the incubator of my aviation life. He was not a pilot but rather a pure participant in the aviation experience. Grandad pointed out to me the symphony of tugs, fuel trucks, ticket agents, dispatch, line mechanics and even the “honey wagon”. Each piece had to fit in order to make it all work. He introduced me to uniformed stewards who offered in-flight passengers Chiclets from silver trays. I remember a visit to Capital’s operations in 1956 and listening to the ceaseless teletype machines and watching the ops guys place grease pencil markings on clear Plexiglas. My grandfather kept a sort of flight diary on the backs of ticket folders. He reminded himself that the Pittsburgh airport had great chocolate malts. Morgantown and Wheeling, West Virginia had no food at their airports. Detroit-Willow Run had a good shoeshine stand where the price was only a dime. He jotted down the names and phone numbers of taxi cabs and their rates. Places to eat, and those restaurants to pass up, graced the borders of his ticket jackets. There were some long trips sprinkled here and there within the ticket bundles: United DC-4s and -6s to the West, TWA 049 and 649 Connies to Indianapolis, Kansas City and Albuquerque, and an all-day multi-stop flight to Atlanta on an Eastern Convair 440. Here was a five-stop trip on a North Central DC-3 to the upper peninsula of Michigan. Despite all the business flying he did and all the enjoyment he got out of aviation, when it came time for a vacation trip during the 1940s and 50s, he and grandma would usually drive. Grandad was frugal and there weren’t many bargain fares available then. He believed that aviation improved his business life but was too extravagant for personal vacations. Isn’t that ironic? If frequent flier programs had been in existence, the two of them could have flown free on all their vacations. Grandad would occasionally plan a business trip routing in order to fly on a particular airline or aircraft for the first time. He was on a number of “first flights”. Capital Viscounts were a favorite of his. The 745Ds came on-line in 1955. First flight folders were found from Detroit to Pittsburgh and Buffalo-Detroit. Carle would go out of his way to set up a Viscount trip. Vickers had such a futuristic jump on everyone else. He flew Capital right up until they merged into United in 1961. Copyright Photo: Bruce Drum. The Mid Atlantic Air Museum (Reading, PA) restored this Vickers Viscount 797 (N7471, msn 233) in the early 1990s in the 1947 livery of Capital Airlines but it has since been grounded. The turboprop airliner is seen at Washington (National) on July 10, 1993. He told me many true stories of flying experiences. His analogies of in-flight drama were sometimes dark but not terrifying. With no onboard weather radar or air traffic control radar, accidental penetration into nasty weather happened. Low and slow airliners got the worst of it. I learned of ice being flung off propellers and into the sides of the fuselage. The DC-3 could carry itself pretty well in icing, he would say. He spoke of how tough it was on the stewards and stewardesses cleaning up airsick passengers while flying over the Appalachian and Blue Ridge Mountains. Grandad saw a ramp worker accidently walk into an idling propeller of a DC-4. The employee was dismembered in front of scores of disbelieving eyes. Grandfather retired when he was 70, still sharp as a tack. He continued to fly occasionally on vacation trips. 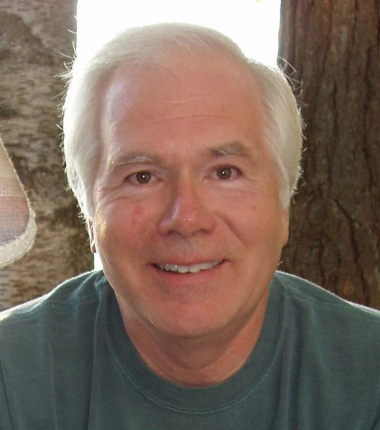 His first jet flight was in the stack – the black non-fan exhaust of a TWA 707. Reunions, graduations and weddings were all duly diaried with their appropriate tickets. He outlived most of his large family of brothers and sister, and his beloved wife. One by one he would be summoned to the somber occasion of a funeral. Those later ticket folders bore comments in a shaking handwriting. When I became a pilot I flew him in light planes. He and I both enjoyed that immensely. At age 93, Carle flew to Houston to visit my little family and see my daughter, Carrie, who was named after Grandma. We went up in a Cessna 172 and later that day I escorted him to the control tower at IAH to observe air traffic action at a big city airport. Grandad passed away at age 99. He was incredibly healthy until he was 96; he had been a sprinter in college and maintained an athlete’s regimen. Carle Morton was a well disciplined yet compassionate and giving man, quick with a laugh. He was my mentor in so many ways. Introducing me to commercial aviation was a life enhancing act for both of us. Those nostalgic tickets, his tickets, what memories they silently hold. This entry was posted in Dave Nichols' Prop It Up and tagged 233, aviation pioneer, Capital Airlines, Capital Airlines 1st, Dave Nichol's Prop It Up, DCA, fearless flier, life insurance policies, N7471, Reagan National, transportation, Vickers, Vickers Viscount, Vickers Viscount 700, Viscount, Viscount 700, Viscount 797, Washington on October 15, 2012 by Bruce Drum.